Social studies teacher, Sara Schmidt-Kost, is in her third year teaching at Edison High School (and fifth year as a teacher) and working with World Savvy as part of their partnership with Edison. She's currently supporting her 9th grade students as they research global issues connected to the Sustainable Development Goals, and work to find solutions to these issues. This spring, they're preparing for a school-wide showcase and the World Savvy Festival in Saint Paul, MN. When social studies teacher Mary Lynn Bryan first participated in World Savvy Classrooms (previously called World Savvy Challenge) 16 years ago, it didn’t start off too well. “We were terrible – just awful. We didn’t know what we were doing,” Mary Lynn recalls. At the beginning, she struggled to incorporate World Savvy’s approach while still meeting her own curriculum goals. It was a challenge to highlight different global issues, help students think critically about those issues, and shift their thinking toward problem solving. But through it all, one thing was clear: her students were hooked. They were challenged with global issues and questions in ways that they hadn’t before–not only were they learners, they were also active problem solvers. Students were willing to give up their lunch hours, and spend time after school to work on their World Savvy projects. While none of her students’ projects received awards in the competition that year, Mary Lynn knew that she was on to something. As she allowed students the space and time to focus on their topics of choice, she saw that they grew more invested in generating solutions to their issue(s) and were working on their Knowledge-to-Action (K2A) projects. 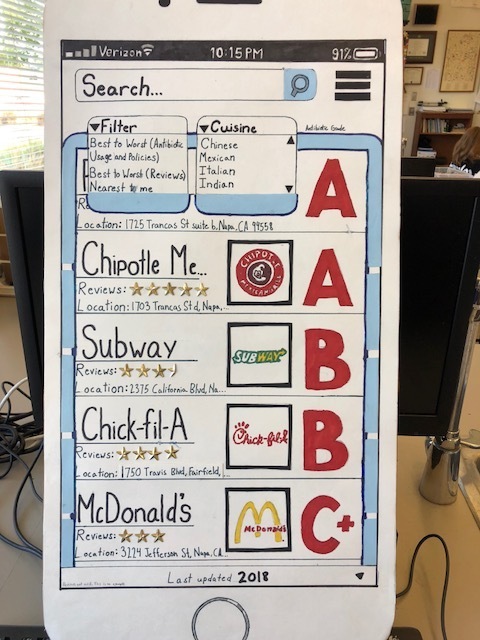 As students were diving more into projects, she’d have them provide short presentations on their topics, and face questioning from 2 additional teachers to ensure they had gained the background knowledge to inform where they would go next with their projects. At the beginning, her students were challenged and often unprepared, but they would later become strong critical thinkers, effective researchers, and confident communicators. World Savvy tools that Mary Lynn, her colleagues, and her students found to be invaluable were World Savvy’s case studies and the Knowledge to Action Collaboratory. 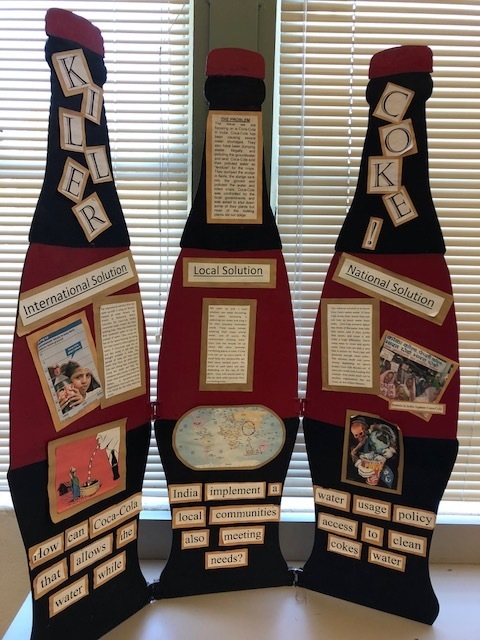 The case studies (example) provided her a curated set of articles around a specific topic that she shared with her students to engage with, challenge their beliefs, understand global issues, and modeled how to gain additional information as they ventured off to do their own research. The Collaboratory provided students the opportunity to work collaboratively (synchronously and asynchronously), and gave a welcoming structure for students to go through the design thinking process in a accessible way. Her students and their projects have left an indelible impression on Mary Lynn. While attending a former student’s recent wedding, she couldn’t help but recall that this student was part of a team that wanted bring members of Thailand’s government to justice for their involvement with human trafficking. She also recalls other student projects over the years—from songs, raps, and performance art pieces—and she sometimes even hums to those beats or lyrics herself. Today, Mary Lynn is an Academic Specialist at the River School in Napa and has had opportunities to lead World Savvy programming both there and at Blue Oak School (also in Napa), where administrators have been willing to integrate project-based and inquiry-based approaches to everyday curriculum. 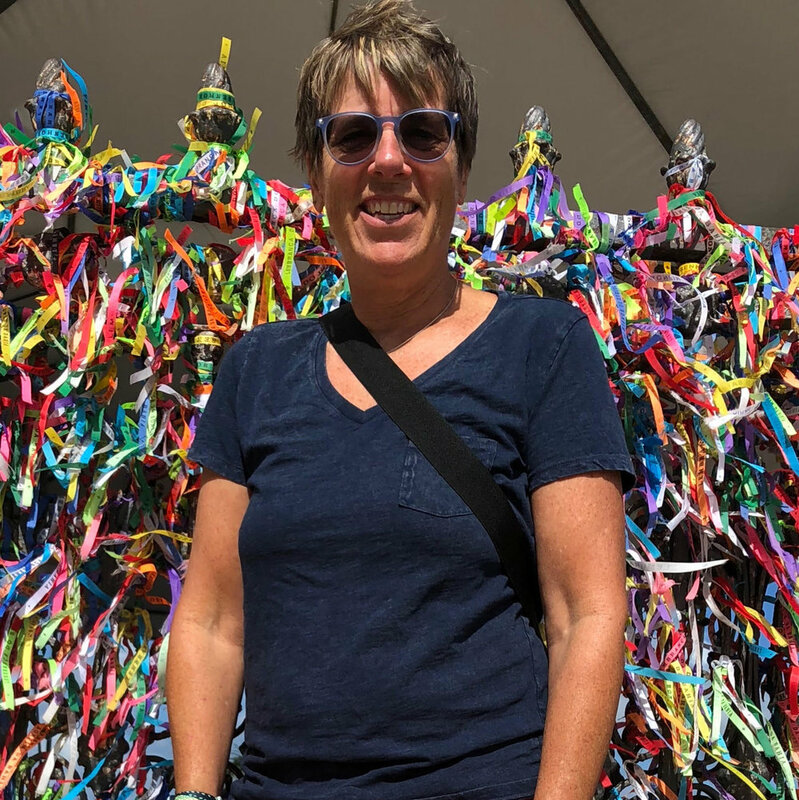 Having implemented the program at both schools herself for many years, Mary Lynn finds herself recruiting and supporting other teachers to take on the mantle of World Savvy implementation. Are you a World Savvy educator- or know one- who should be profiled in our series? Let us know!